There is a deep build-up of life-force within you now and a need to channel it into action. You may have extra energy or be more alert than usual, or be aware of a sense of increased sensual or sexual energy. If you have been unsure how this ties into your spiritual path, know that it can allow you to access the richness of your soul. When we are not expressing ourselves sexually, our spiritual potential can become tamed or muted, so if you are denying yourself a desire, ask yourself how you can fulfil it. 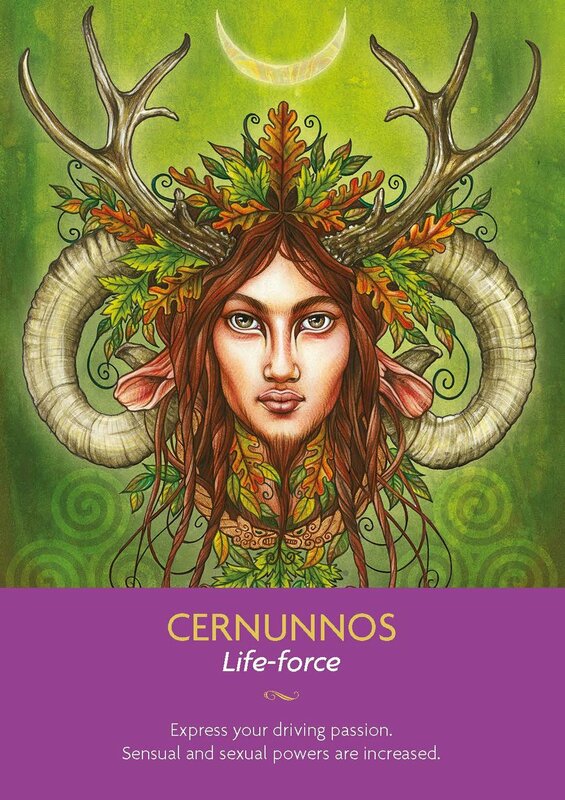 Ask Cernunnos to help you access your sexual self so that you can express it with integrity, and in a way that honours your soul. If you and your partner are trying for a child and this card appears, fertility is very possible, especially if Brigid, Cernunnos’s twin flame, is present too.